In late-November, Michelin 2-star chef and restaurateur Björn Frantzén will be opening his first restaurant outside Sweden. 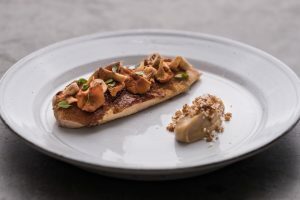 Frantzén’s Kitchen in central Hong Kong will be a modern bistro with influences from both Nordic and Asian cuisines. The restaurant will start taking reservations from 4th of November. Frantzén’s Kitchen is a new restaurant experience from Björn Frantzén that will be opening in Hong Kong on 24th of November. À la carte dishes with high gastronomic ambitions will be served to up to 36 guests in a stylish and relaxed Scandinavian environment. To ensure a top quality experience in Hong Kong, Jim Löfdahl will be Head Chef for Frantzén’s Kitchen. 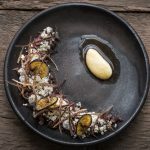 Jim Löfdahl has previously occupied the same role at Restaurant Frantzén in Gamla Stan in Stockholm and was part of the team that achieved two Michelin stars there. Frantzén’s Kitchen is located on 11 Upper Station Street in Sheung Wan. The restaurant will be open in the evenings and for lunches at the weekend. Reservations can be made from 4th of November at www.frantzenskitchen.com.